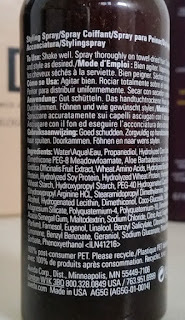 The Exfoliating Shampoo comes packaged in a tall, thin, brown bottle that holds between 50ml to 1 litre of product. The size I have here holds 200ml. It has a flip cap lid to dispense the product which is a brown-yellow in colour. The shampoo is quite runny, so that’s something to keep in mind the first time you use it as it can be easy to pour too much out of the bottle. Some natural shampoos can be a bit difficult to lather, but I find that this lathers up okay. It is easy to disperse throughout the hair and the exfoliating nature is great at preventing product build up. In addition, it works really well at re-balancing if you have a dry or irritated scalp. Since using this, I have found my hair to look and feel more smooth, soft and bouncy, even without the use of the conditioner afterwards. My personal favourite aspect of this shampoo though is how well it cleans both the hair and scalp without harsh cleansers. The Thickening Conditioner comes packaged in a brown, squeeze bottle with a screw cap lid. My bottle is a travel sized, 40ml bottle, but it can also comes in sizes up to 1 litre. The conditioner is far thicker in consistency than the shampoo and it spreads really well throughout the hair. You only need a small amount and every strand will be covered. It does take a little longer than average to rinse, but it’s totally worth it! When used with the shampoo, the hair is left feeling incredibly soft with lots of extra volume, but it doesn’t feel heavy. The Thickening Conditioner is a fantastic complimentary product to the shampoo as they work well together to exfoliate, cleanse, soften and strengthen. The Scalp Revitalizer comes packaged in a brown bottle that holds between 40ml and 150ml (but multipacks can be purchased). It has a spray lid that also comes with a cap to cover the nozzle when it isn’t in use. To use, you need to split the hair into sections to expose the roots and spray 16 spritzes to reach as much of the scalp as possible. Massage in and allow to dry and repeat twice a day. It can be a little odd to get used to using the Scalp Revitalizer in your routine, especially when you have to use it in the morning. You may think that it could leave the hair feeling or looking greasy or wet, but it doesn't. With continuous use, the Revitalizer does help to strengthen the hair at the root, preventing breakage. 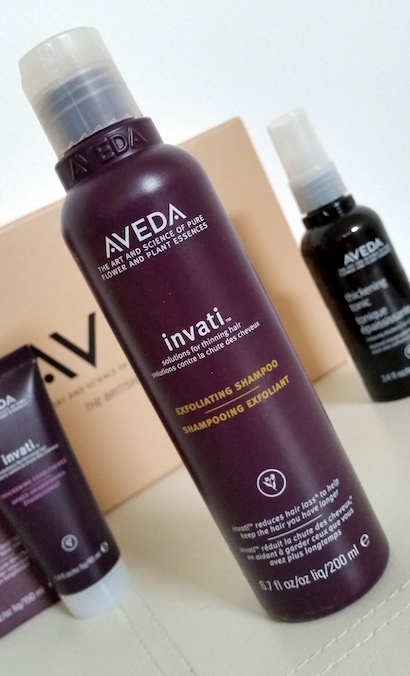 The downside is though that this is the only product from the Invati range that creates a heaviness in the hair. Not too much to be a problem, but you can tell there is product there. With that said, after massaging the product into your scalp, you are also left with an extra, noticeable boost of volume. 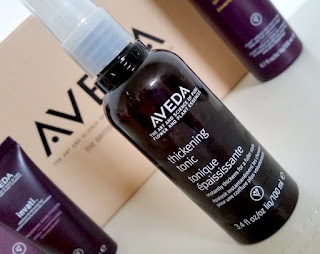 The Aveda Thickening Tonic comes packaged in a translucent, brown spray bottle that holds 100ml of product. To use, you need to shake well and spray the Tonic onto damp, towel dried hair and brush to make sure that it reaches from root to tip. The Thickening Tonic leaves a lot of extra volume and bounce in your hair, but for those who want to avoid certain ingredients in their haircare, this does contain dimethicone. 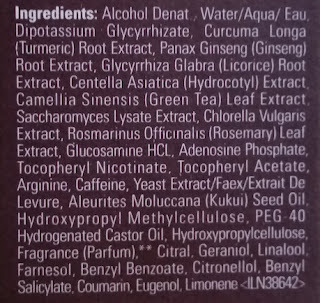 For more information on this ingredient you can check out this fantastic post, but whether or not you decide to go ahead with using this spray is down to personal choice. I decided to give it go, but I do use it minimally and not all of the time to try to prevent product build up (even though the Exfoliating Shampoo does a good job at tackling build up, too). The spray isn’t sticky, which is a plus, and it also has a beautiful smell. The hair looks healthy and fresh when you use this Tonic and it doesn’t look like you have been using any product to achieve the finished look. 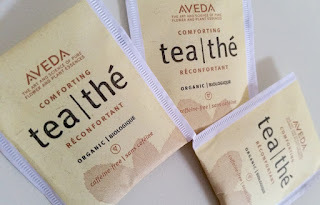 Whilst the tea isn’t necessarily a beauty product, it has been described by Jane from British Beauty Blogger as "an essential part of the Aveda ritual", so I felt compelled to discuss it within this post. There are a lot of herbal and fruit tea's that can taste quite bland, but not this. 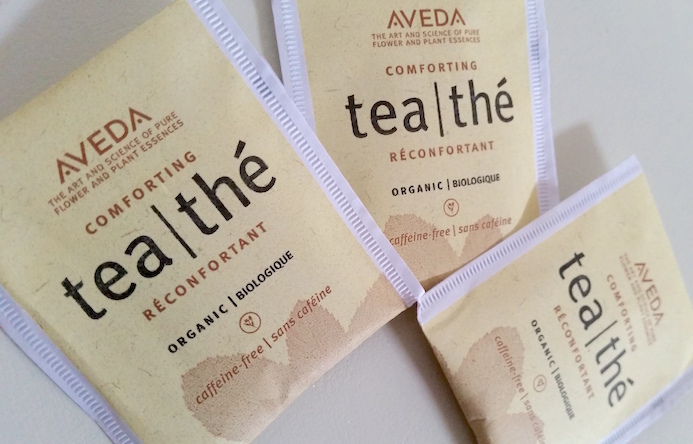 Aveda's tea is rich in flavour and is relaxed sweetness with a minty aftertaste in a cup. The tea tastes beautiful. Even if you don't want to purchase the haircare products but you are a fan of tea, do yourself a favour and buy some of this stuff! It's lovely and it’s the perfect addition to the whole experience. 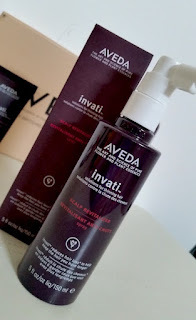 To conclude, would I recommend the Aveda Invati range? In a heartbeat! It's an incredible range of products that will help those with thin, fine hair as well as those who are experiencing hair loss issues. Using all of the products in conjunction left my hair feeling and looking full of volume, but you can see the difference after each step which shows just how each product contributes to the end game. I know that a lot of people see the price of certain haircare products and feel as if it is too much to spend when you're simply going to wash it down the drain, but there's a lot of good happening here before you rinse it away. 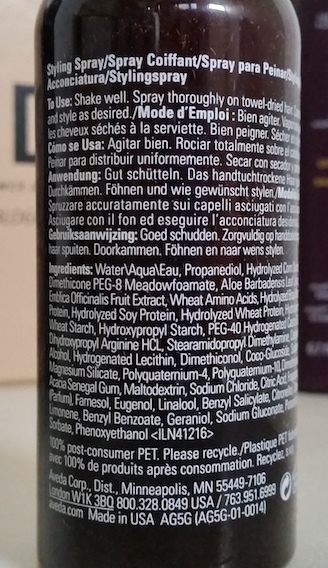 In the beauty world, there are a lot of instances where products claim to be this and do that, yet you can feel that you really don't get what you pay for. With this range, you do get what you pay for, and because of that I do wholeheartedly recommend you give this a go. 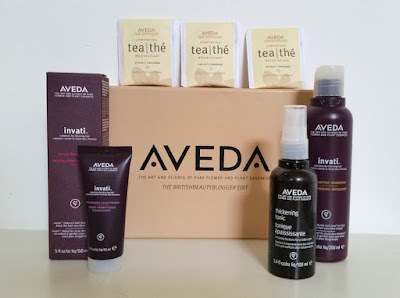 Whilst I was lucky enough to bag the Latest In Beauty Aveda Experience box, unfortunately they sold out pretty quickly. However, you can purchase the Aveda Invati range as a collection or each product individually as well as the Thickening Tonic and Comforting Tea from Aveda. 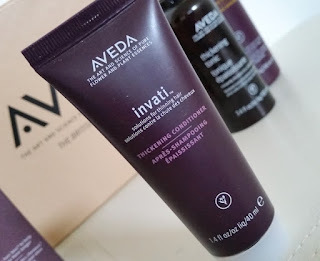 For more specific links, the Invati range can be found here, the Thickening Tonic here and the Comforting Tea can be purchased here. What are your thoughts on the Aveda Invati System? 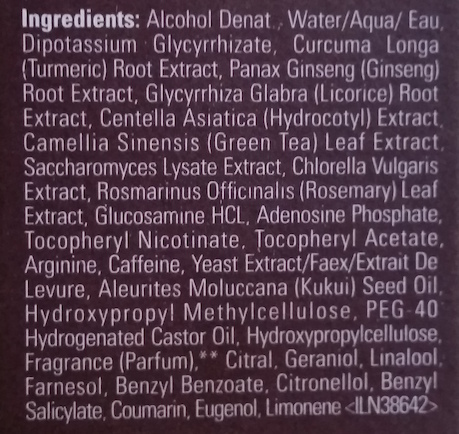 What product is your favourite?